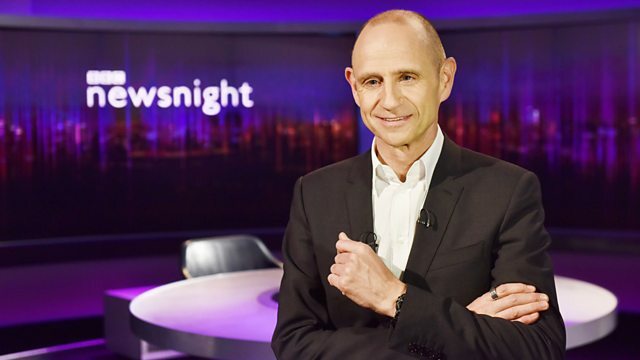 With Evan Davis. The alleged conduit between Trump and the Kremlin, shared parental leave, plus is this a watershed moment for Facebook? sharing of data may be under threat. and other Silicon Valley giants? a significant effect on Brexit. to happen in the future. who thinks data is the new oil. between Trump and the Kremlin. seminars are great for recruiting. the bigger share to women. to give up the office for the nappy? why aren't more doing it? or even other tech giants? people to wash the coffee cups. by passing it onto others. taken possession of so much of it? Facebook if they could get the data. to pieces of its business model. wouldn't necessarily have access to. don't always get what they want. market an election every four years. order to sell you a dishwasher? was Facebook's business after all. That is the Facebook side of it. Chris Cook is with me. Bring us up to date on developments. it will come straight for them. things. We will seek what it does. will give evidence to tomorrow. Well, you can't quantify it. Campaigns are not like that. for voting as they do. We have won it for that candidate. or evaluate what they are saying. Sure, they can have an impact. They got Donald Trump elected. And that is a big thing. I'm not prepared to say that. I don't think anybody can say that. the outcome of the election? and people should uninstall it. of consumer advice you would give? is something we need to talk about. we have to understand the problem. But it is no longer a company. We tried it once before. didn't say a damn thing. going to come talking to you. make anybody come to the judiciary. us get to that point. is willing to have a hearing. we need to have another. that he needs to come to talk to us. Can I just ask one last one. I think it is bigger. I mean, let me say it again. They know more about me than me. They know more about you than you. problems that their size presents. way or the easy way. in knocking Russia off the news. call them whatever you want. without being noticed, they failed. Mark Urban is with me. new generation Russian nerve agent. the argument one way or the other. These Russian diplomat left today. thing but apparently not even that. be with the UK in this. of people who aren't even Russians. a place of intrigue for Russians. old days of the Cold War. are still very much in use. was this man, Joseph Mifsud. and the University of Stirling. Ambassador, a real one, that is. of interest to the Russians? He's a wannabe, not a real player. he can get along in a lot of places. He got about a bit for business too. and junior minister Tobias Ellwood. of him being a Russian asset. from that old KGB handbook. at the London Academy of Diplomacy. is part of the management. the Queen, in an Olga Roh coat. transfer from Russia to Europe. So what did Dr Roh want from him? trip to a conference, in Moscow. I smelt a rat, you know. It didn't sound as if it rang true. going to go to this meeting. So Dr Harbottle declined to go. Shortly afterwards, he was fired. turnover had been £42,000 a year. in the field of a consultancy. So it could be money-laundering. within Russia, it needs improvement. that he is a spy. But some old habits have persisted. about 3% of eligible couples. maternity, with a side of paternity. after the homestead all the time. with the kids is a better thing. Two weeks - it's not enough. as much as a woman does. Two weeks, it's not enough. a baby in two weeks. to go back so quickly. it wasn't much time at all. so times have definitely changed. the Institute of Economic Affairs. home and keep the family running. host a play date after school. there any other stay at home dads? difference in the way people choose? feel it's not what dads do. on a level playing field, I think. not the right way to go about it. it is use it or lose it. father or to anybody who wants it. no better for an individual couple? the dad to six weeks. is a burden, after children? trajectories we are in a good place. a week is the right thing to do? Kate is completely right and that.